In what’s being called a “first” for Japan, several individuals have been arrested for allegedly uploading One Piece spoilers before the manga officially went on sale. According to ANN, NHK and Sankei (via Anime News Network and Tokyo Reporter), 30 year-old Yo Uehara, 23 year-old Shizuka Nagaya, and 31 year-old Ryoji Hottai were arrested for allegedly violating Japanese copyright law. This is the first time Japanese authorities have gone after spoiler websites that upload manga scans before they’re on sale.. The suspects allegedly bought copies of Weekly Shonen Jump before it officially went on sale and then scanned and uploaded pages from One Piece and other manga online. According to authorities, Uehara and Nagaya’s “spoiler” website had been online for over a year and earned 75 million yen ($687,150) in online ads. 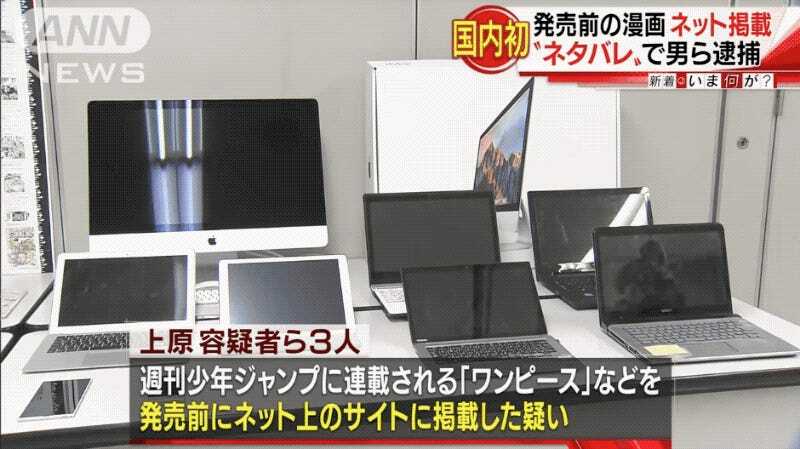 Hottai’s website had been up for over three years and reportedly earned 305 million yen ($2.80 million) in that time.